Stroke. Coloured computed tomography (CT) scans of the brain of a 68-year-old stroke patient. 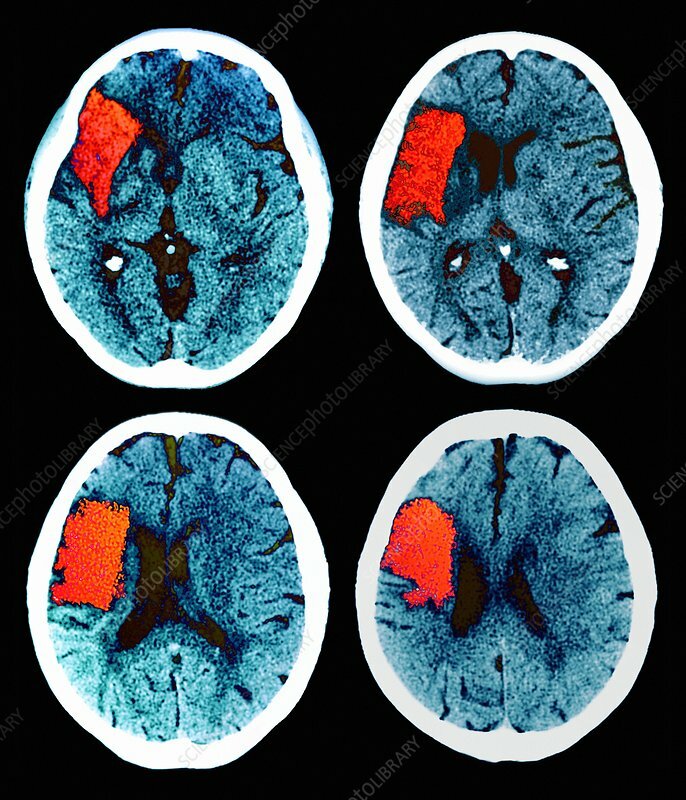 One has been affected by the stroke (red) and suffered ischaemia (interrupted supply of oxygenated blood) leading to tissue damage. The images show horizontal sections through the brain at different levels. A stroke is any condition that interrupts circulation in the brain. It is also known as a cerebro-vascular accident (CVA). The symptoms of stroke depend on the extent and location of brain damage, and vary from headache to partial paralysis and death. Strokes typically occur in the elderly, and are a major cause of death.